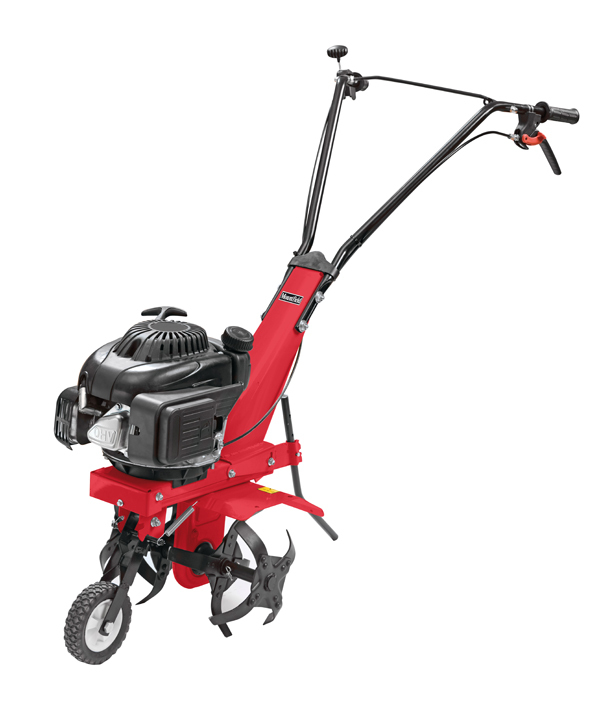 A compact but powerful garden cultivator, the Mountfield Manor Compact 36 is powered by an easy to start 100cc 4-stroke petrol engine. Four 24.5cm/9.8 inches diameter tines have a maximum working depth of 20cm/8 inches and a working width of 36cm/14.4 inches. They are equally efficient at turning over ground for the first time or breaking soil into a fine seed bed. The Mountfield Manor Compact 36 has adjustable handles, transport wheel and depth skids to control the depth of cultivation. Weighing just 27kg/59.4lbs this cultivator can be easily transported and is ideal for garden and allotment use. * Delivery of the Mountfield Manor Compact 36 is included only to addresses in Norfolk and the Waveney Valley area of Suffolk. One of our own service engineers will deliver and install this machine. We provide full after sales support for all Mountfield products we sell from our branches at Horstead, Norwich and Toftwood, Dereham.